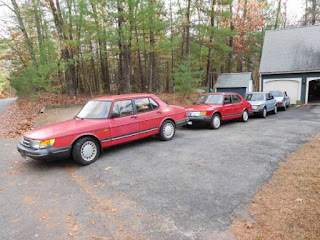 Just A Car Geek: 3 SAAB OG 900s For The Price Of One..
3 SAAB OG 900s For The Price Of One.. 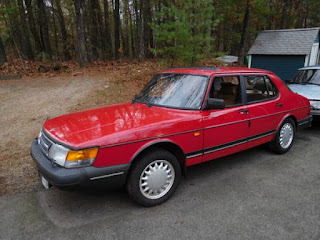 I'm not turning this into a Saab blog. (Although I've owned several and love them). I saw this Craigslist ad, and figured that if some Saab fan had the time and space, this might be a nice find. This guy is selling 3 OG 900s. You get all 3 for $1500.00. He's calling it a "collectors kit." I call it a bargain. One has what appears to be a very good body, but needs some mechanical work. Another has a decent body and runs. One is described as a parts car. 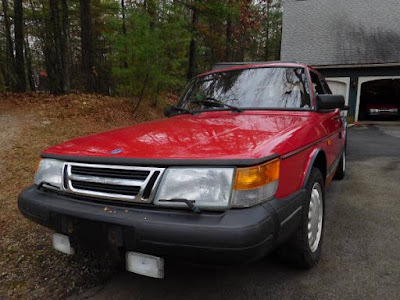 At least here in New England, these cars - especially ones in decent shape - are getting harder and harder to find. While I don't think they will ever be worth any real money anytime soon, I believe the OG 900s have hit the bottom of their depreciation curve. Here's a chance to get 3 for a very reasonable price. I'm glad your updating again! My brother and I are big fans. 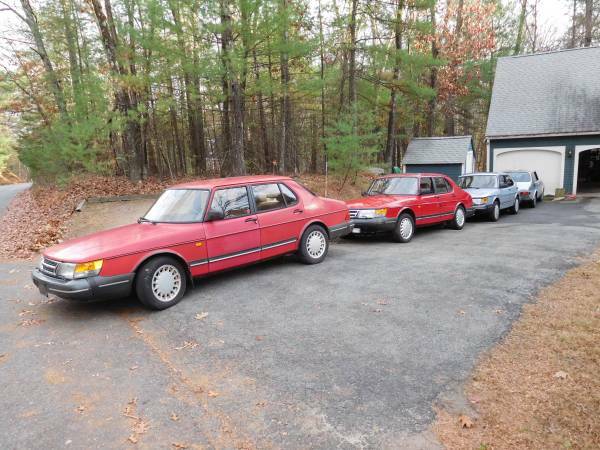 If I wasn't already loosing the battle of keeping my current fleet alive, I would be all over this pack of Saab's. Sweet! Too bad it would cost me more than the price of the cars to have them shipped to California.